I really want to get past this and build a new and creative world for us and for you. We will and we are. We’re going to post a new interview in just a few minutes. I wanted to write a few words about last night, as well. The gathering last night was amazing. It was a cold snowy night. A night that saw many events across the community cancelled. But in Charles Village, an auditorium was filled with 300 people or so. The people there represented our community. It was Black, White, Asian, Latino, elders, youth and middle aged, gay and straight. There were truck drivers from Baltimore, school bus drivers from Bel Air, steel workers from Dundalk, university professors from every discipline, lawyers, nurses, doctors, social works, inner city activists, students, school teachers, filmmakers, journalists, artists and artisans. Some were activists who came as an organized group but most were just folks there to speak there mind. It was inspiring to hear what my listeners and station members had to say. Sure, on one one level it was about me and about the fact that I have been part of people’s lives in this community for the past fifteen years. But all this was and is much larger and more important than any one man or any show on public radio. This is about community, about building community and a radio show that drew diverse communities together. It is about the future of public radio and what the public means in public radio. Speakers stood to tell Tony Brandon, Barbara Bozzuto, Andy Bienstock, the management and board of WYPR that the program gave voice to the voiceless in this community. People testified that they had been introduced to voices, people and ideas from our community that they would never run across in their daily lives. One inner city activist, Dante Wilson, said that all the media shows is negative images of Black communities. He said that our program showed the world that there is a different side to the streets of Baltimore and people who were working to make a difference. School teachers stood up to say that nowhere else did teachers and regular working people have a forum to speak to the public. Jewish-American and Arab-American leaders were there because our show was a place where ideas were non-threateningly shared. It became clear that the people in that audience felt that the Marc Steiner Show was a place that built community, built bridges between the diversity we live in, and created communication. One thing was very clear; people understand that and want public media to be a place to build community. The concept of public ownership of the airwaves was foremost in the minds of those who attended last night. The “your” in Your Public Radio is more than just words. When I came up with those call letters, it meant that it was to be a community owned and run station. I believed it, the people who gave hundreds of thousands of dollars to buy the station believed it, and in the ensuing years those who became members of WYPR believed it. I told them to believe it, and the station during its fund drives told them to believe. We were telling them a lie. Last night the community demanded that the station management and board include them in the process. People believe that listener-members should have seats on the Board of Directors. They should be part of the process of directing our public radio. Some demanded that the board resign or that Tony Brandon and the management resign or that the board should fire the management and start over. A theme that was constant throughout the night was people demanding that the public mean something in public radio. Out of this meeting the CAB will write a report to WYPR’s Board of Directors. The meeting is March 12th. You may attend that meeting. You just have to register with WYPR to reserve a seat. This is about the ownership and future of public radio. Mr. Brandon gave money to purchase WYPR, and ensured his becoming President of the station. To enable our clients and partners to use the largest and most desirable audience we can deliver to effectively advance their business and interests. I was so glad when Dante Wilson stood up and said what he did–this is exactly what I would have said if I had spoken, that Marc gave people who don’t have a voice in the media a chance to speak for themselves, in their OWN words. This is what I think about when I drive around town and look at blocks and blocks of boarded-up homes, and I see one or two among them where someone is is living, trying to make the place look cheerful and inhabited, trying to do something good for themselves and their neighbors–where are people like this heard? How interesting it was that no one from the station identified themselves at the meeting. 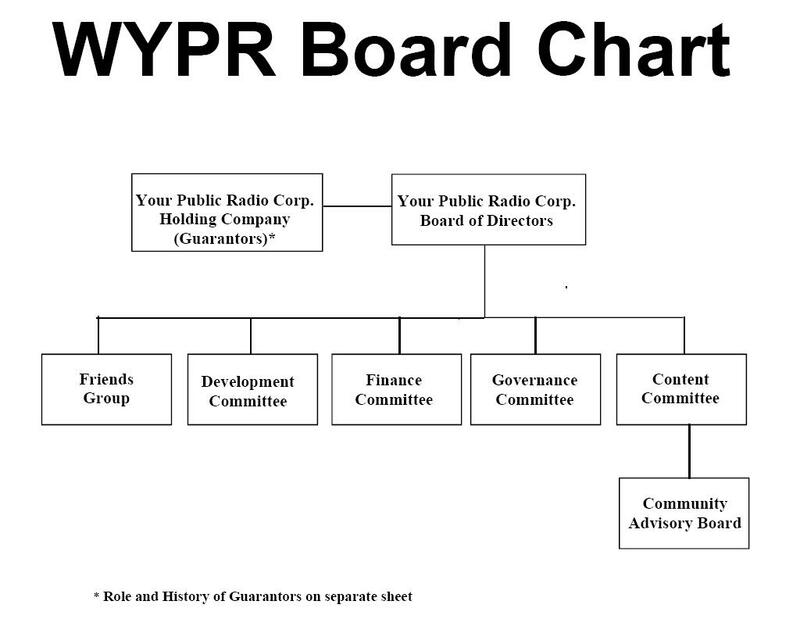 In previous meetings, Mr. Brandon and WYPR management has been front and center both in person and in the minutes. How interesting that Mr. Brandon sat quietly in the front row while most of the audience had no idea he was there. See, people know what Marc looks like. No one would notice Mr. Brandon. How sad that his jealousy, cowardice, and stupidity have ruined what was a great radio station. My office where I work has a very nice lunch room. It’s got a flat screen television, several microwaves, a small toaster oven, and the communal table is often filled with snacks or sweets that people bring to share with everyone. I never ate lunch in the lunch room though, I chose to spend my lunch time in the parking lot everyday listening to your show. On cold or rainy days I would listen shivering with the windows rolled up, and the windows fogging up. On nice days I would sit on the hood and eat with the sun roof and windows open while your show played. Now I’m sure you’ll go on to do something else thats great for the community, when doors close windows open after all, but I just wanted to let you know that since I moved to Baltimore two years ago I’ve always enjoyed our lunches together and I will miss them quite a bit. One more thought–today’s Sun article pointed out how “festive” the meeting felt–how right, it was a blast! I think it would be great to somehow keep this spirit going–the people at that meeting and others who post on the blogs and petitions are all so different yet we all have something in common–we all care about our community. Maybe all this energy could be harnassed to do other events–promoting the CEM, fundraising parties for activist groups? It’s nice to get out and see people face-to-face. It is hard to believe that it is legal for a bank to determine the programming on public radio…which is essentially what they are doing by making Tony Brandon General Manager as part of the terms of the loan. This isn’t just not public radio, this is bank owned radio, and it should be illegal for it be misrepresented as a public station. The steiner show had gotten stale. I was a regular listener for years, but let’s be honest. I went to that meeting, but think folks need to be more realistic. If you want to throw out ‘corporate’ influence, then you need to come up with another way to support the station. 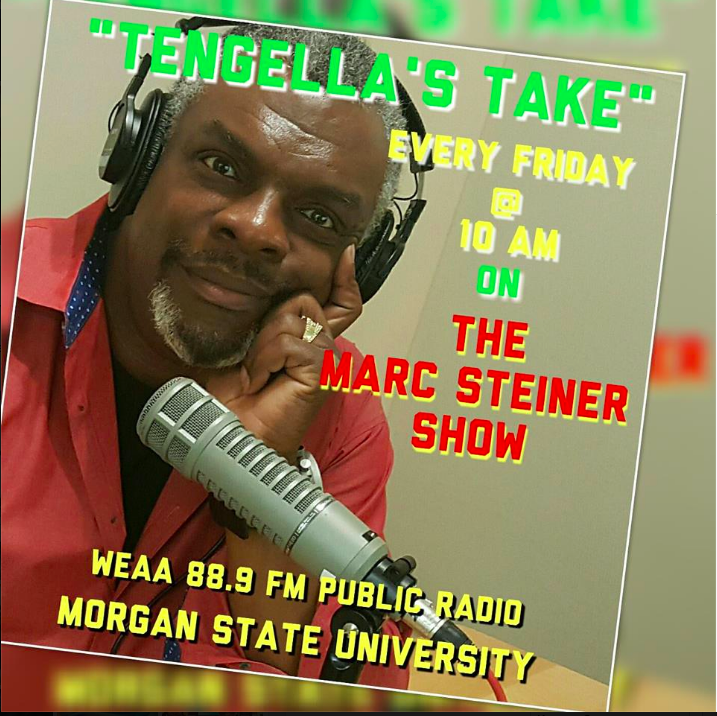 I want more local programming, and Maryland Morning, and the local segments during morning edition do a far better job then the Steiner show. Time to move on, Steiner will hopefully find a new venue and do what it takes to attract listeners. Also, I know you guys are all passionate, but things are getting a little heated around this blog–let’s try and keep things cordial and friendly, okay? Whoa–I didn’t mean to scare everyone away! Come back! I wasn’t at the meeting, but I just listened to the CAB stream — wow — it was pretty inspiring. I have to admit, though, as cathartic as the meeting may have been, I am not optimistic that management at WYPR is going to make changes. Clearly, they miscalculated your support, but Mr. Brandon’s response shows that he’s digging his heels in. I live in Baltimore, but commute to Harrisonburg, VA for seminary each week. I will miss your show’s podcasts — they kept me rooted in my home community, while I was away. Do you know what was the breakdown of the BOD vote to end the Steiner show? Apparently wypr staff were told that it was “unanimous” including “Marc’s friends.” If it was not, why have BOD members not spoken about this? Baltimore is a small town. Has anyone run into any of the WYPR board members or community advisory committee members – like in the store, other types of meetings? What are they saying or not saying? For me – have not been out too much- tend to hiberate during the cold/icy weather. Much easier than emailing all 21 of them separately. It would be good to have as many people as possible do this before the BOD meeting on the 12th. Could you (or someone) please provide a link to information about a BoD vote, or say where you heard it? I wasn’t aware of confirmation that there was a BoD vote. I have read the articles and columns on baltimoresun.com, but have not read all the reader comments there. I have not seen any public information of the BoD vote…I don’t believe that they have released any information about it, nor does it seem that BoD members have talked publicly about it. However, the staff was told by Andy Bienstock that the vote was unanimous. William, that is interesting. Considering that Ive heard that some BOD members said they were never involved in any discussions regarding firing Steiner–how could the vote be unanimous if not everyone was there to take the vote, or informed that the vote would be taking place? Andy and Tony think the public represented at the CAB meeting was merely a radical (and less than respectable) few. The two of them dismiss angry voices as liberals – and for them that label is the worst they can think of. They don’t take the protest seriously, they don’t take the protesters seriously, and they think we will all just get bored and go away. They have no concept of social justice. They have no idea that they startled awake a sleeping dragon; no idea of the power, passion, and persistence their shortsightedness and belligerence has evoked. I was so impressed by what I saw at the CAB meeting and proud to be included in that number. Thank you to those who spoke and to those who braved the weather. Browsing the Part B Statement of Information for the Investment Company of America, March 1 2007, as supplemented November 19 2007. This Statement of Information is an 85-page pdf file. What is a Programming Chair? Could that be the same thing as Chair of the Content Committee, as shown on a handout from the CAB meeting? Following up on Jo in B’More, I note that if “liberals” had not won a certain contest more than 200 years ago, our currency would now bear pictures of Queen Elizabeth. George Washington was liberal. Thomas Jefferson was liberal. Mad King George was not only insane, but conservative. Yes, I know, none of those people were at the CAB meeting. My first point is, Mr. Brandon must be un-American. Don’t know about Andy. My second point is, if liberals could win then, us mainstreamers can win now. I wouldn’t say George Washington and Jefferson were necessarily liberals. I know Jefferson owned slaves and pretty sure Washington did too. They were involved (although a few degrees away from the source) in the colonization of another’s land (ie the Native Americans). It would be like the French colonist in Indochina proclaiming their independence from France. It’s still not their land. I think a better example would be every act of social change over the last 5 decades has begun from a liberal or working class ground swell (we’re certainly talking radical anarcho-syndos here. There are regular joes). IRS Form 990 for tax year 2005 (7/1/05-6/30/06). The filing date was extended a couple of times, and the form was finally signed by Tony Brandon May 8 2007. Just discovered Baltimore IMC, or Baltimore Independent Media Center. This site is new to me, can’t tell you anything about it, but it has interesting posts about the WYPR situation, including the CAB meeting. “The next Board of Directors meeting has been rescheduled for April 15, 2008 @ 3pm. Are they trying to postpone this in hopes that our and the CAB’s feelings will be forgotten in that extra month? Anyone heard why they keep postponing the BOD meeting? It sounds like the new show is less news and community oriented, and more gossip oriented. I.e. meet barak before he was famous. this has nothing to do with community, or news, it is more idle chatter, which, in light of Marc’s statement his canning was for political reasons, this really backs that up. It is quite disgusting, can they lose their public license over this? i thought .org were to be non – profit? So curiosity got the best of me and I listened to Rodericks’ show yesterday and what I coudl stand of it today. Its all powderpuff, no real content. YPR isn’t really pushing it either; only this AM did they have a mention of what is coming up, but no definitive schedule. I really feel like there is a hole in local/community issue coverage and debate. I tried litening to Ed Norris some and while I appreciate some of his common sense views, his show has it’s own slant and vibe to it and between that and the constant hawking of goods and services, I’m not really into it. Basically I just really disheartened by the firing of Steiner, the turn of YPR, the bland commercial infotainment and lack of civil debate or informative discourse in our general media not only here in Baltimore but nationwide. I hope Brandon (or whoever is behind this) gets some type of repercussion from it because the new status quo is devoid of any value whatsoever. I’ve had better conversations at work or on a barstool than I hear on Baltimore radio these days. I totally agree with Phil. Roderick’s show lacks substance, not good discussion. Why didn’t he have the guts to talk a little about the obvious–Marc and his firing,and listener’s reactions from all sides. Perhaps Tony Brandon told him not to. His column is better than his show. I soon switced stations or listened to a CD. WTMD – Towson University plays outstanding music. That is where my tuner is set. $$ are going too. Norma, that’s exactly what I did. I cancelled my membership to YPR and immediately became a member of TMD after the CAB Meeting. WTMD is a great example of public radio and they do play amazing music. The Greatest 897 albums? What a great idea. A whole month of listener programmed radio. if “commercial free” is that important, stick to the internet/blogs. I wrote a brief comment on the Baltimore Sun web site after the firing story broke. If memory serves, I think I used the phrase “craven weasels.” When I saw the follow up story by Laura Vozzella today, I decided to stop by this blog and see what was happening. Here’s my thought. If Marc wants a pound of flesh from the those mammals of the genus Mustela at WYPR, I’ll bring a saw. If he wants to move on, I will maintain my interest and give my support to his intelligent and insightful questions about our local world.